Canadian Wildlife Federation: Q. What can I do to help Monarchs? A great question, considering how monarch butterfly numbers are declining. We can do lots to help them have plenty of safe habitat – here and along their migratory path. Here’s how. Grow lots of flowering plants throughout the warm months when adults are looking for nectar. Monarchs also need trees for roosting sites – places to sleep and rest. It is also critical we allow milkweed plants for monarchs to lay their eggs on. 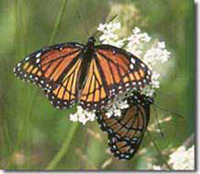 Their favourite species is the common milkweed. 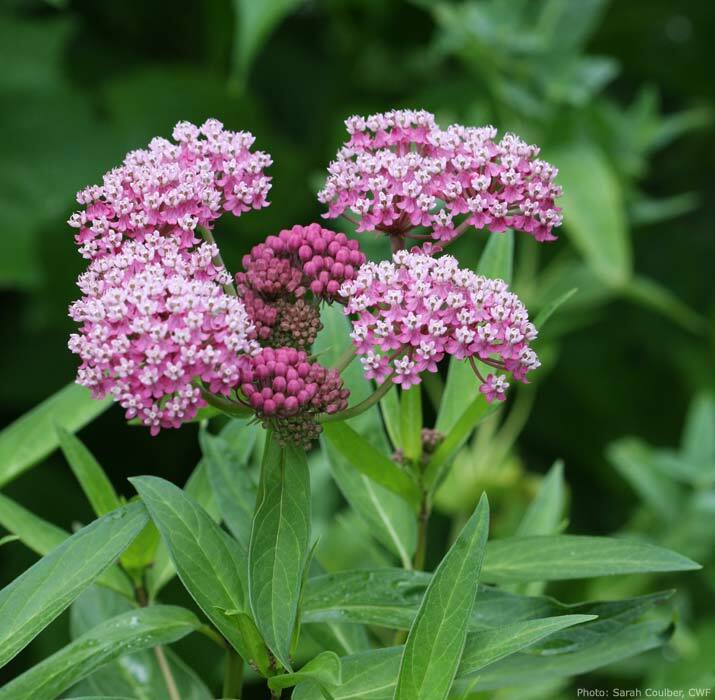 But there are many Asclepias species in Canada, so no matter where you are, chances are you will be able to grow them on your property and support your local monarchs. Some municipalities still consider milkweed a noxious weed, however times are changing and you can encourage this by speaking with your local municipal office staff and councillors. To keep milkweeds from spreading, you can cut off the flower head once it has finished blooming (it will look wilted and the pretty smell will be fading). The process of forming seeds doesn’t happen overnight, so you will have time to do this if you keep an eye on them. It is also imperative that our gardens be safe by choosing earth-friendly alternatives to pesticides. And equally important, use your buying power to support products that are organically grown in countries that the monarch (and other species you care about) migrate to and through. In addition, choosing products such as shade-grown fair trade coffee and reusing both sides of paper helps slow down deforestation that also affects monarchs. The tide is shifting to healthier choices and you can definitely help speed things up! 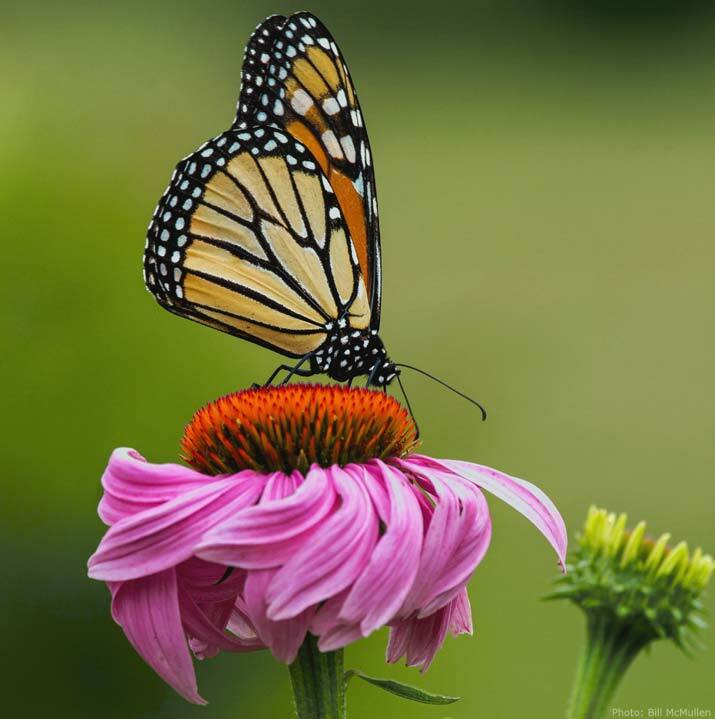 With its bold and bright orange wings speckled with white dots and lined in a thick black border, the monarch butterfly (Danaus plexippus) might just be the most recognizable butterfly in Canada.